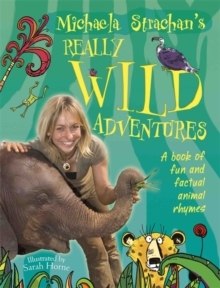 Take a really wild rhyming adventure with these wacky and wonderful poems from TV presenter Michaela Strachan, perfect for readers aged 5 and up. From trying to out-spit a cobra to pulling out the tooth from a polar bear, join her on real-life animal rescues and daring challenges, plus some guessing games in this action-packed cavalcade of raucous read-aloud rhymes. The poems are accompanied by Sarah Horne's vivid illustrations and Michaela's own photos. Told in rhyme, which gives a fun twist to the tales.